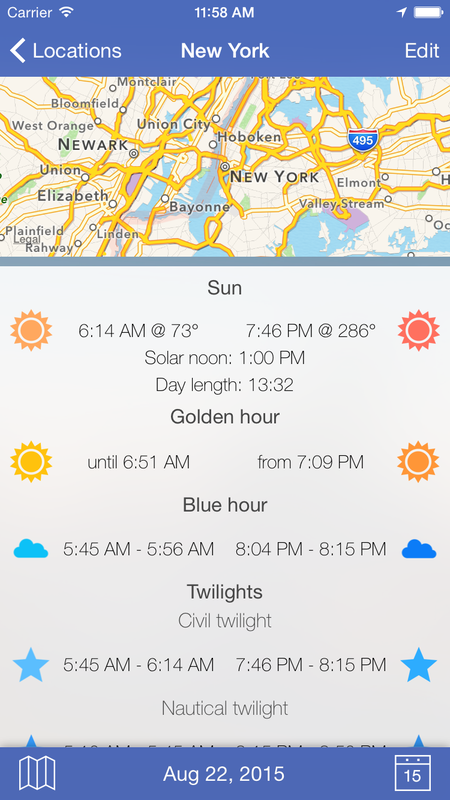 Blue Hour (Solar Calculator) is a tool for photographers, that calculates information about sunrise, sunset together with data of the blue hour, golden hour and twilight times (civil, nautical and astronomical). 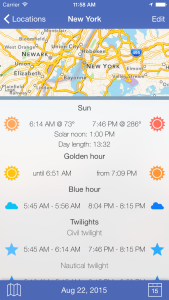 Furthermore you can calculate information about moonrise, moonset, moon phases and moon illumination (calculated data are approximations of +/- 1 day accuracy). 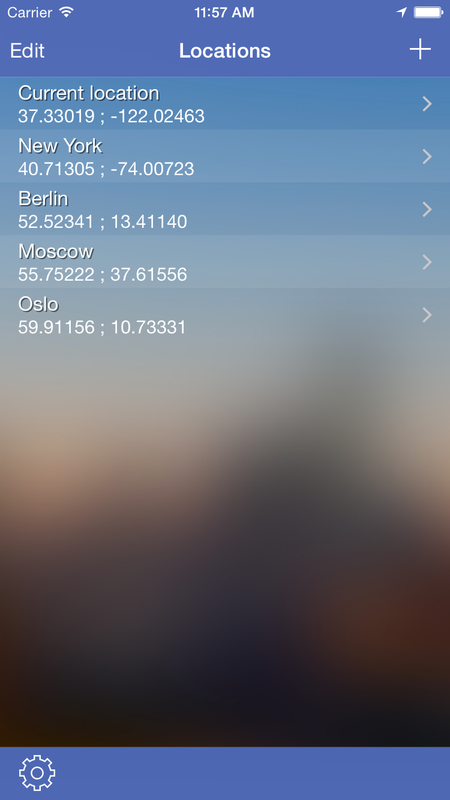 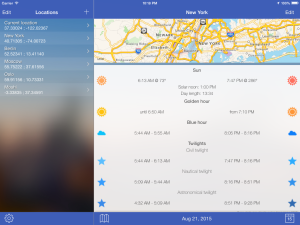 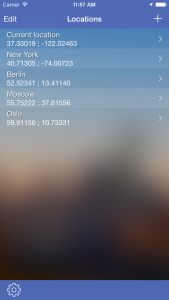 In this app you can view data for multiple locations. 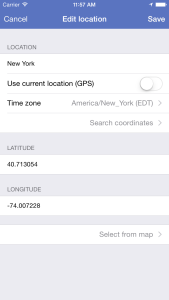 These can be defined manually or automatically by getting your GPS location. 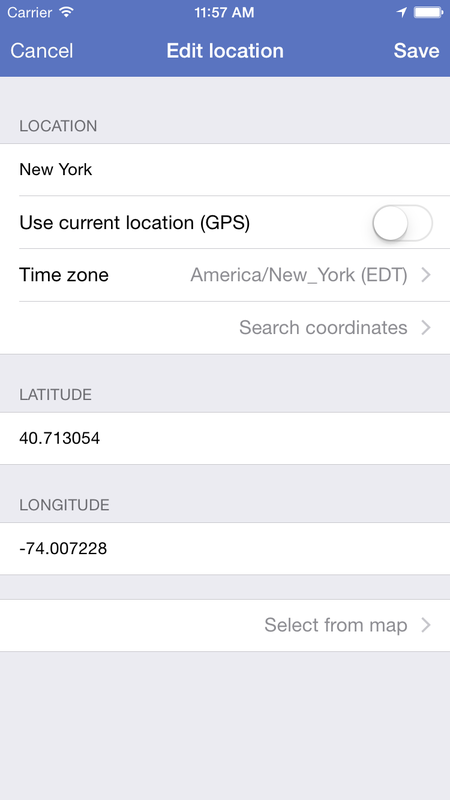 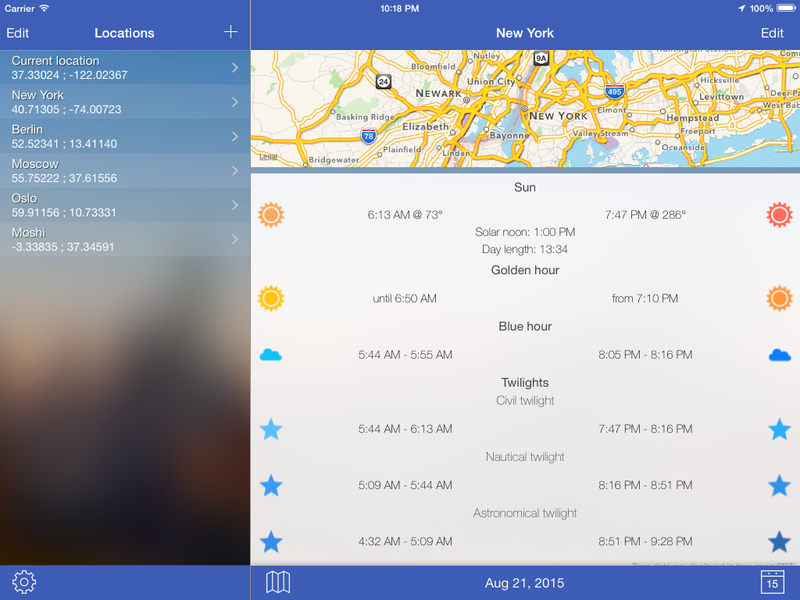 Additionally you have the opportunity to manually set timezones of the locations, which can be helpful if you are planning trips to locations with another timezone than the one, where you currently are in. Note: the calculated values are approximations. 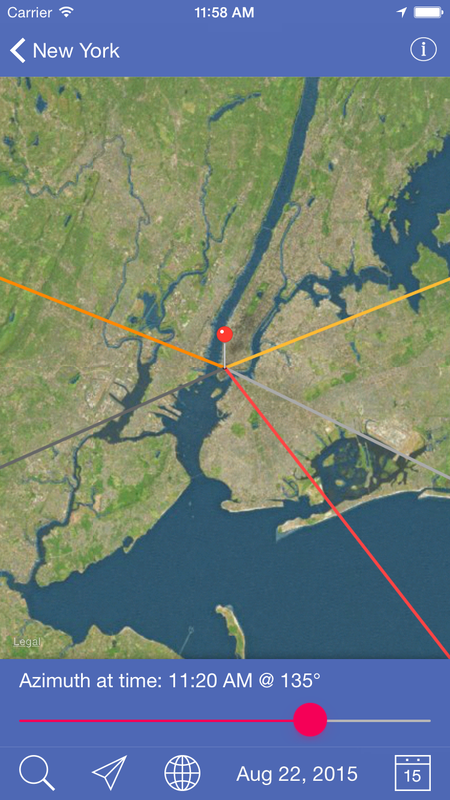 Additionally it depends on weather situation, how good or if any solar event is visible.